Singer 1512 targets beginner sewers. It is a decent machine but it misses out on some important beginner friendly features. 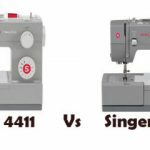 Singer 1512 Promise II is a beginners sewing machine, no question about it. 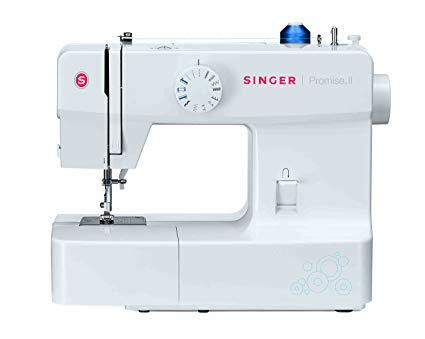 It is a a mechanical sewing machine, but it is not a popular one like the Singer 2259. Singer 1512 hasn’t yet made it to the top list. Let us have a close look at the machine and see if it is worth your hard earned money. 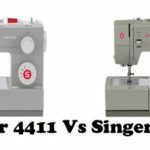 Singer 1512 Promise II comes with 13 built-in stitches, which includes 11 basic stitches, a decorative stitch and a 4-step buttonhole. Stitch selection is done by turning the dial. Another dial is provided for adjusting the stitch length. Tension can also be easily adjusted. Reverse sewing lever is of decent size and is conveniently located. Presser foot pressure is automatic on Singer 1512. Presser feet is snap-on type, which is easy to change (pretty much the standard nowadays). There is a storage compartment to store away the accessories. Once you remove the storage compartment, you can access free arm for sewing cuffs and collars. The extra high presser foot lifter on Singer 1512 is really handy while sewing multiple layers of fabric. Stitch width can be set to a maximum of 5mm on this machine. Two needle positions are also available. 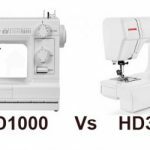 The machine is capable of twin needle sewing. A manual thread cutter is provided on the side of the machine. You can say that Singer 1512 is equipped with a reasonably powerful motor. The motor can deliver 750 stitches/min. The power is not best in class, but it will do the job in most occasions. A built-in sewing light illuminates the work space. First thing you will notice about Singer 1512 Promise II is that it has a very simple design. There isn’t a lot of buttons and controls, which really helps, from the point of view of a beginner. The machine is very lightweight, it has to be said. It weighs somewhere around 10 pounds and the built-in carry handle makes it all the more portable. The machine is slightly on the noisy side though. For the threading part, you definitely need to follow the user manual, otherwise you will bump into trouble (and re-threading the machine again and again is not a great feeling). The stitch quality is decent, however I won’t recommend this machine for sewing multiple layers of denim or other thick fabrics. This is a beginners’ machine, not ideal for pros. The machine feeds well and it is consistent. Perhaps the biggest miss on Singer 1512 is the lack of an automatic needle threader. You will have to thread the machine in the conventional way, which requires a healthy vision. Older generation might not like this machine. Another bummer is the front loading bobbin, which needs the side storage compartment to be removed every time you want to change the bobbin. If you are not used to this type of bobbin, it will take some time to get used to it. A top drop-in bobbin would have been a life saver, especially for beginners. It is more or less understood that this machine would be primarily used by beginners. In that case, Singer could have included a 1-step buttonhole instead of 4-step one. An option to finish the buttonhole in a single step would have been a big hit among beginners. 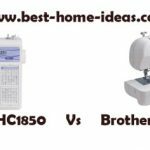 Singer’s biggest competitor, Brother provides it in its machines in the same price range. The lightweight foot pedal loves traveling I guess. I am not quite convinced with Singer 1512 from the beginners’ point of view. The machine misses out on many essential beginner friendly features. I would recommend Singer 2259 over this machine mainly because of the quality it brings to the table. Singer 2259 has 19 built-in stitches, there isn’t a huge difference in other features though. If you are not brand conscious, you can always consider Brother XM2701 which is the best seller in the price category. It is feature packed and it has the best stitch quality in the segment. 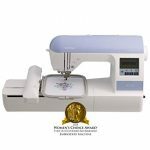 Brother XM2701 comes with 27 built-in stitches, 1-step buttonhole, top drop-in bobbin, automatic needle threader etc.